The 4R Nutrient Stewardship Certification Program has announced that Luckey Farmers, Inc.’s facilities in Bradner and Graytown, Ohio have been added to its growing list of nutrient service providers to achieve certified status. Established in 1919, Luckey Farmers, Inc. is a grain and farm supply cooperative headquartered in Woodville, Ohio with 10 branch locations serving farmers in seven counties in northwest Ohio and southeast Michigan. The cooperative’s Berkey location also achieved 4R Certification status in February, giving the cooperative three certified facilities. More than 1.1 million acres and approximately 3,000 farm clients are serviced by those who have received 4R Nutrient Stewardship Certification, with 60 percent of them being in the Western Lake Erie Basin. “Luckey Farmers’ employees worked very hard to ensure that its operations were following the 4R’s, and we congratulate them for their stewardship practices and success,” said Andrew Allman, executive director of the Nutrient Stewardship Council. “By becoming 4R Certified, Luckey Farmers has proven its dedication to the long-term improvement of Lake Erie’s water quality,” said Carrie-Vollmer Sanders, Nutrient Stewardship Council chairwoman. “We are proud of all nutrient service providers that have begun the process of becoming 4R Nutrient Stewardship Certified. MEDIA: Download high-resolution photos of each facility receiving its 4R certification signs by clicking on the facility name below. 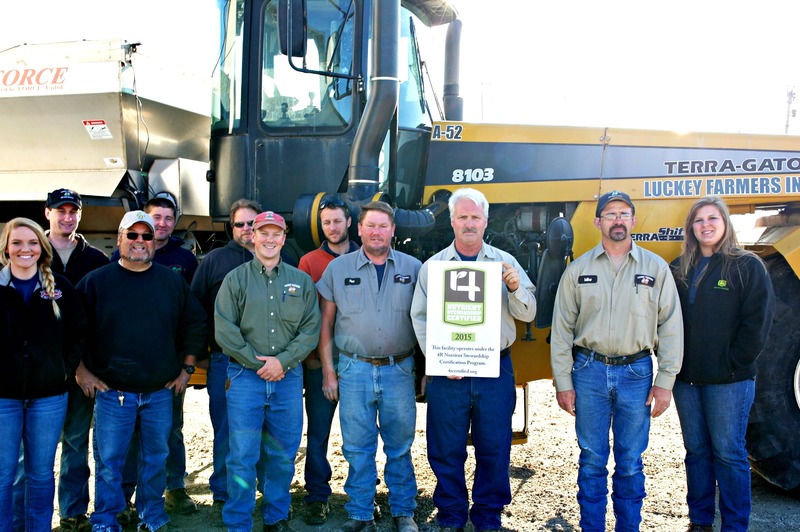 CUTLINE: Employees at Luckey Farmers, Inc.’s Brander facility receive their 4R Nutrient Stewardship Certified sign. (From left to right) Front row: Erin Peters, Tom Wagner, Adam Brossia, Rex Holland, Dave Eschedor, Mike Joseph and Rachel Johns; Back row: Matt Flowers, Brock Abke and Josh Kieffer. 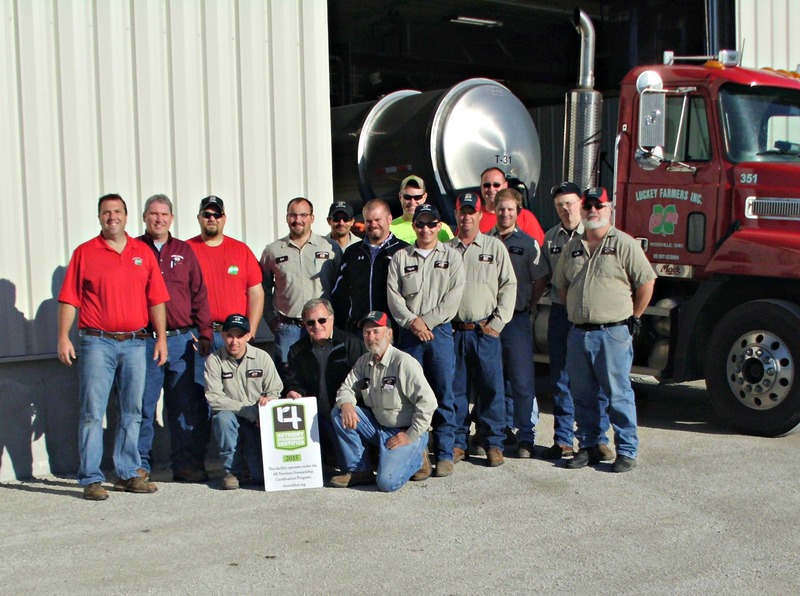 Employees at Luckey Farmers, Inc.’s Graytown facility receive their 4R Nutrient Stewardship Certified sign. (From left to right) Kneeling: Garrett Meek, Dan Bach and Gary Schober; Standing: Dough Uher, Bob Valasek, John Huffman, Cameron Shirer, Geoff Ruhlman, Brice Gahler, Matt Haar, Travis Meek, Steve Leady, Brian Sullivan, Steve Welling, Klay Meyer and Kevin Cochran.